Delve into the history that surrounds Great Yarmouth on one of our fantastic heritage guided walks for 2019, explore the history of this ancient seaside resort, fishing port and market town. 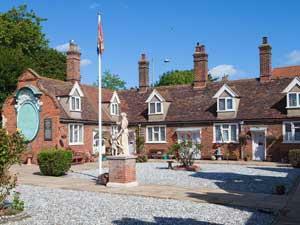 The Greater Yarmouth area has some fantastic history and architecture to admire, and some colourful stories of local characters to go with it. An exciting range of walks, written and designed by some of our heritage guides will take you off the beaten track and out into the local area to discover more about what went before in Greater Yarmouth. 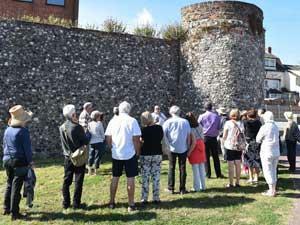 Guided heritage walks this year include some of our old favourites exploring the town's Medieval Town Wall and famous Row houses along with hearing a few more local gory stories. 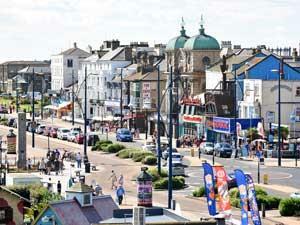 Sun, Sea, Stars and Circus- Over the years Great Yarmouth seafront has played host to many famous names and faces. Take a trip down memory lane with one of our heritage guides and learn how the holiday & entertainment industry has played its part in how it looks today. The Finest Quay in Europe- South Quay is a great place to start an exploration of Great Yarmouth's rich heritage. In the early 18th century Great Yarmouth, as a thriving herring port, was vividly and admiringly described several times in Daniel Defoe's travel journals, including a glowing description of South Quay as ‘The Finest Quay in England if not in Europe’. Hear all about its fascinating history and see some of the fine examples of Georgian architecture. As part of this guided walk there will be an opportunity to tour inside the Town Hall to see the town’s regalia and view some of it's restored rooms. Taking place regularly from April to October, Heritage Guided Walks, led by an official Great Yarmouth heritage guide, are one of the most interesting ways of discovering more about the area. All the above walks cost £4.50 for Adults, £2.00 for children (7-16 years). Under 7's free, no unaccompanied children allowed on any walk. Tickets can be bought on the day from your guide. Starting points vary, see the event details for more information or download the leaflet. Children must be accompanied by a responsible adult, no unaccompanied children are permitted on any walk. 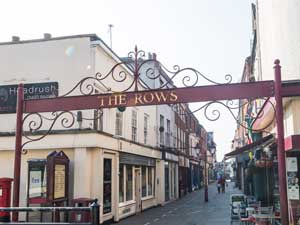 More information can be found in the 2019 Guided Heritage Walks leaflet. Private tours for walking groups or coach tours for a minimum of 8 people can be accommodated on any day of the week and are eligible for a special group rate. Download a booking form here. We are also happy to hear from schools and educational groups where we are always willing to assist in matching our walks to your requirements. We can also offer a great new educational rate where teachers and accommpanying adults go free! 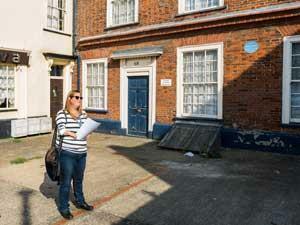 Heritage - Discover unexpected history and heritage in Great Yarmouth.